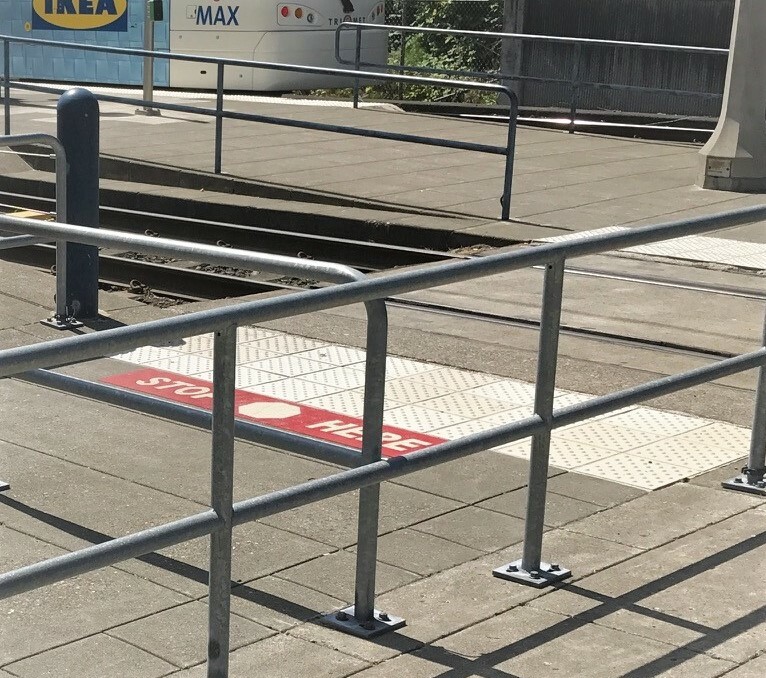 We’re also replacing the white bumpy safety tiles—used to warn riders of the track way—at the pedestrian crossing on both the east and west end of the platform. Warning tiles will also be installed in existing ADA ramps near the boarding areas where buses pick up and drop off. Some accessible parking spaces will be relocated temporarily next to the current spaces. 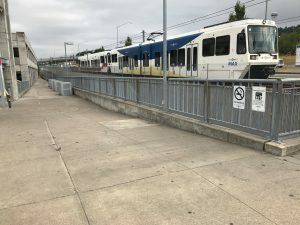 Temporary pedestrian ramps may be installed so riders can access the MAX platform. There will be some saw cutting and jack hammering so expect some noise and occasional dust during construction hours. 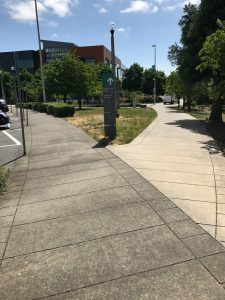 Work hours are 7 a.m. to 3:30 p.m. weekdays. There will also be some work done during the weekends when we’ll be replacing the safety tiles at the pedestrian rail crossings. 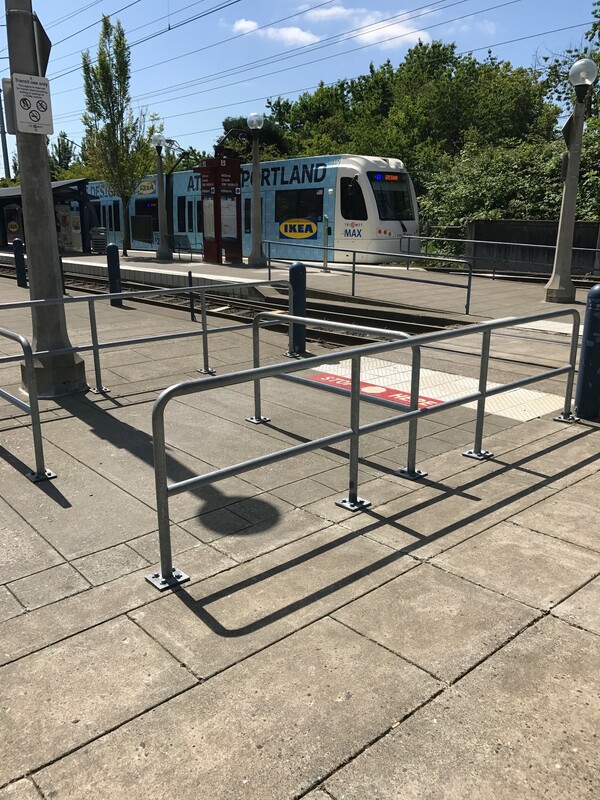 As this will be an inconvenience at times, we thank riders and transit center neighbors in advance for your patience and understanding while the improvements are being made. 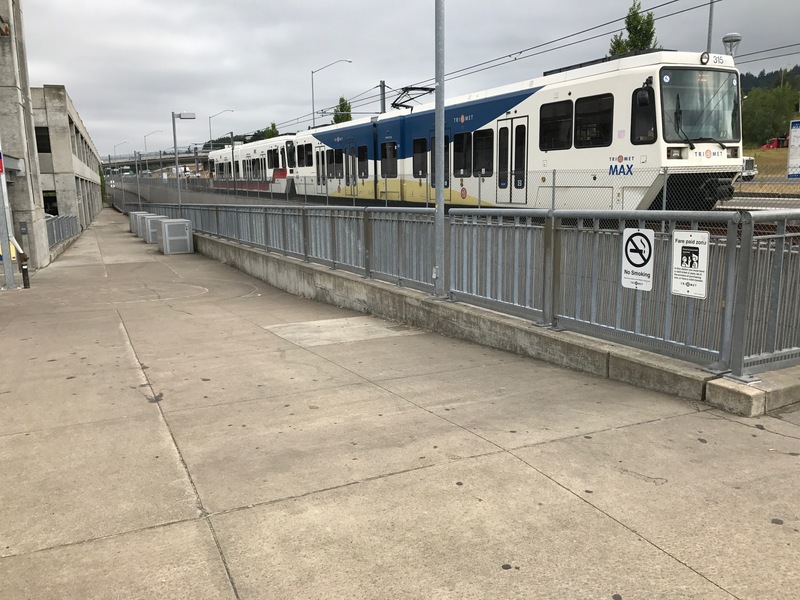 TriMet is deeply committed to serving all the people of our community. We formed the Committee on Accessible Transportation (CAT) to advise the TriMet Board of Directors on plans, policies and programs for seniors and people with disabilities. The CAT team has helped us design the improvements coming to Willow Creek. Learn more about accessibility on our buses and trains here.